The following product is developed by Econotron Software, Inc. for use with GAUSS. Technical support is provided directly through the developer. LikPak 1.0 from Econotron Software consists of over 50 likelihood functions and examples for GAUSS. LikPak is designed to be used with GAUSS optimization packages such as Constrained Maximum Likelihood MT, Maximum Likelihood, and Maximum Likelihood MT. LikPak has been designed to complement the optimization packages; it saves the programmer from having to write the likelihood and shows how the likelihood can be parameterized for a particular problem. LikPak is designed to be used as a template; that is, select the example that is relevant to your problem and use that example as a starting point. The functions in LikPak corespond to the set of likelihoods currently used in economics, and each function is backed up with documentation describing typical parameterizations. 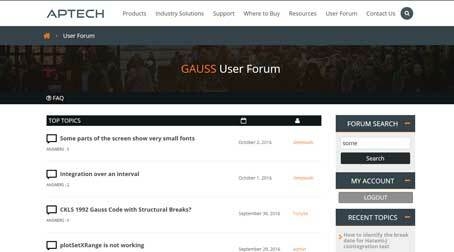 The source code is written in GAUSS and will run on any platform of GAUSS or the GAUSS Engine. See below for a list of processes and utilities included in LikPak. Full documentation and examples are provided for each function. See the online manual at www.econotron.com for details. LikPak is available for Windows, Linux and Unix versions of GAUSS. You can visit Econotron Software's home page www.econotron.com for a full description of LikPak.